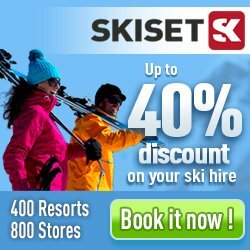 The four ski resorts of Les Arcs, Montchavin-Les Coches, Peisey-Vallandry and La Plagne form one of the largest ski areas in France, Paradiski. These resorts are since 2003 interconnected via a Cable car, Vanoise Express. In total this area holds 250 pistes, streched across 425 kilometers, and 143 ski lifts.